Bless Online Launch Didn't Go Smoothly | Nerd Much? 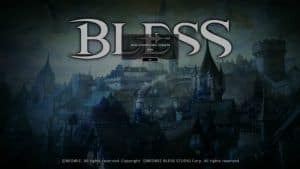 The Bless Online head start launched on Steam yesterday for those that purchased the game’s Founder’s Pack. And just like many other MMOs that have come before it, things didn’t go very smoothly. First of all, Neowiz Bless Studio didn’t offer any sort of preloading option for the game. So when the title went live on Steam yesterday, the server’s were flooded with everyone trying to purchase and download it at the same time. And that’s not even the full rollout for the game, just those that splurged for the more expensive Founder’s Pack. Those who purchase the base game through Early Access can begin playing Wednesday, May 30th at 10:00 a.m. Pacific, 1:00 p.m. Eastern. And that’s likely to be a much larger crowd than those who began attempting to play on Monday. If you follow Neowiz’s Twitter feed and Steam page, you’ll notice the two have be riddled with maintenance posts and server status updates over the last day. The servers crashed completely around 3:00 p.m. yesterday, forcing Neowiz to undergo “emergency maintenance” shortly thereafter. The servers came back online roughly an hour later, but the issues continued throughout the day. A second North American server eventually went online, but the hits kept coming with more crashes, emergency maintenance, and downtime persisting throughout the evening. So much for a “head start”. As of early this morning, the servers appeared to be back up and running. But some players are being notified that servers are too full following a message declaring that “this realm is too crowded.” And again, this is happening to the folks who shelled out $150 for the game’s Founder’s Pack. The game was being streamed by numerous popular personalities yesterday on Twitch. And Neowiz perhaps shot themselves in the foot by promoting Shroud’s feed. Their server’s certainly were ready to handle any mass influx of players at that point. The full Early Access release goes live tomorrow morning/afternoon. Hopefully Neowiz has gotten its act together and will be ready to welcome many more players with open arms. **Update 5/30/18: Looks like the people have review bombed Bless Online with negative Steam reviews, giving the game a now Mostly Negative review stance, with most beating it up over optimization and client performance rather than gameplay issues. We’ll keep you posted.